I am a photographer and painter with a particular interest in landscape and water. Currently I am looking at the River Thames and exploring the margins by night and day. Having done a textile design degree at Chelsea College of Art about 12 years ago, I also make textile wall hangings but have let that slip lately in favour of painting which was my first love! The influences and inspirations tend to be the same anyway. I try and use my own images here where possible but will always try and credit sources otherwise. Hey there Diana! Just tuned into your blog and thought it was fun, so I gave you a follow. If you’d like to return the favor, visit me at http://www.thatssojacob.wordpress.com. Have a great day! I am a pianist, and have used a number of John Piper canvasses on various CDs for leading record labels. I am writing on behalf of a colleague who has fallen in love with Piper’s Brittany Beach with Lighthouse (1961) which I saw on your pinterest site. I contacted the rowing museum for a high res image and have had no response. This would be a perfect cover for a forthcoming CD of piano music by Gabriel Faure. Having used 3 Piper images for CD covers, I must stress that we have done so with the blessing, and support, of the Piper Estate. I would be so grateful if you could direct me to whoever might be able to help me locate a high res Piper Brittany landscape. I don’t know why I’m so late to your lovely blog, Diana – but better late than never. Glad I found you. Thanks for finding me and kind words! Hi, I graduated from the Moscow Textile Institute in my first life and had many friends among designers there. I am glad that I found your blog. It gives joy and lifts spirit. Hi – interested that you’re also exploring the Thames. Are you covering the Estuary as well. Great landscapes there. Hi Diana – just wanted to let you know that I’ve nominated you for a Liebster Award – but now see, as I’d suspected, that you’ve already been nominated for the same award a few times before! So, please take this as a token of my appreciation and enjoyment of your wonderful blog – a kind of honorary Liebster to add to your other richly deserved awards! Thank you for the kind words, Melanie. I do appreciate your support and encouragement! Thank you for that which is much appreciated even if I don’t follow it through! Your work is beautiful. I lived in London for a time and visited Kew Gardens, wow wish i could go back now and take more photo’s to paint. Ah, I just read some comments below about other, presumably similar ‘awards’- feel free to pretend it never happened (I very nearly did the same when someone nominated me). Don’t worry! I am still thinking about it and appreciate the thought/nomination. Thanks for that Philippa. Last time I did one I didn’t get much response from those I nominated so I am a bit more reluctant to respond now! That’s sad about the lack of response. I understand if it isn’t the go right now. Your blog is lovely anyway – lots of interesting things to see and think about! Thank you and congratulations Diana. 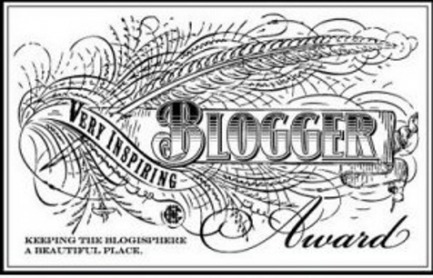 I don’t know what you think of these blogger awards / memes but as I was nominated I decided to continue the chain and use it as a way of expressing recoginition to some bloggers I enjoy reading. Hello Diana. I thought that, following a number of exchanges between our blogs (now including something flagging up your Dylan Thomas related post: http://poeticresolution.wordpress.com/2012/06/14/a-nice-way-to-discover-a-dylan-thomas-poem/), I thought I’d let you know where to find a bit of my own original work, beyond the poems of other people that I’m selecting for the poeticresolution blog. Feel free to take a look here for texts (http://www.thanesalon.com/vincentclay/index.html) and here for a couple of recordings of some trivocal pieces (http://soundcloud.com/vincent-clay). I was immediately drawn to your post on place yesterday, Diana, but was pressed for time and couldn’t leave a comment. This morning I’ve had the pleasure of looking at your works more carefully, and the particularly evocative wave patterns. Beautiful and compelling; and I’m looking forward to being in touch. Thanks for following along as well! Thank you so much Julian. Having looked at your blog I could see we have similar interests. I have found a lot of like minded individuals through this topic which is great. Keep in touch! Glad you like the latest meandering. I aim to walk the whole of the tidal Medway by the end of the year before Boris gets his hands on it. I see many great scenes to snap but I’m usually happy not to get my thumb on the lens! Thanks very much for the follow and comments. Much appreciated. I will also follow your blog. I have just had a look and am particularly taken with the Night Paintings. Also good to hear from another Geddesian! Thank you and I’m glad you like the night paintings. I must do some more sometime! It is good to find some mutual interests. Hello Diane – Flickr notified me – I’m honoured you have added two of my paintings to your favourites, I thank you. Just been reading your blog…It’s excellent. Very interesting and great photo,s too.. :-). Hi Diana! Thank you for following my blog and your comment. I have been looking around your pages and they are fabulous. The landscape gallery is beautiful and are all images I could see handing in a gallery. Thank you again for your support and I look forward to continuing to follow you also. I’m glad you like the work and thanks for following. Hi Diana, my blog is mainly about the Thames, especially the reach from Putney Bridge to Kew Bridge. You should check out the Leg o Mutton nature reserve which is between the Lonsdale Road in Barnes and the Thames, very tranquil and with lots of wildlife. If you find yourself close by to Barnes get in touch. I also paint, photograph and have a passion for angling much like you I’m drawn to water, I’ve lived by the Thames from Henley to Barnes since the late 80’s. Thanks for the suggestion and for telling me more about yourself. I am now following your blog too. Thank you for stopping by my blog. I want to take more time to look more closely at your posts. I am from Utah, in the U.S., but have spent a bit (very little bits both) of time in both East Anglia and Wales. Your photos and writing are lovely and I definitely want to spend more than just these few minutes looking and reading. Best to you.